The T-shirt the group of drummers made for my Dad. May he RIP. Hello, My name is Aurora Rupe, I'm from Chihuahua, Chihuahua, M?©xico. The reason of this letter is to honor my Dad, he passed away last Sunday, February 17th 2019. 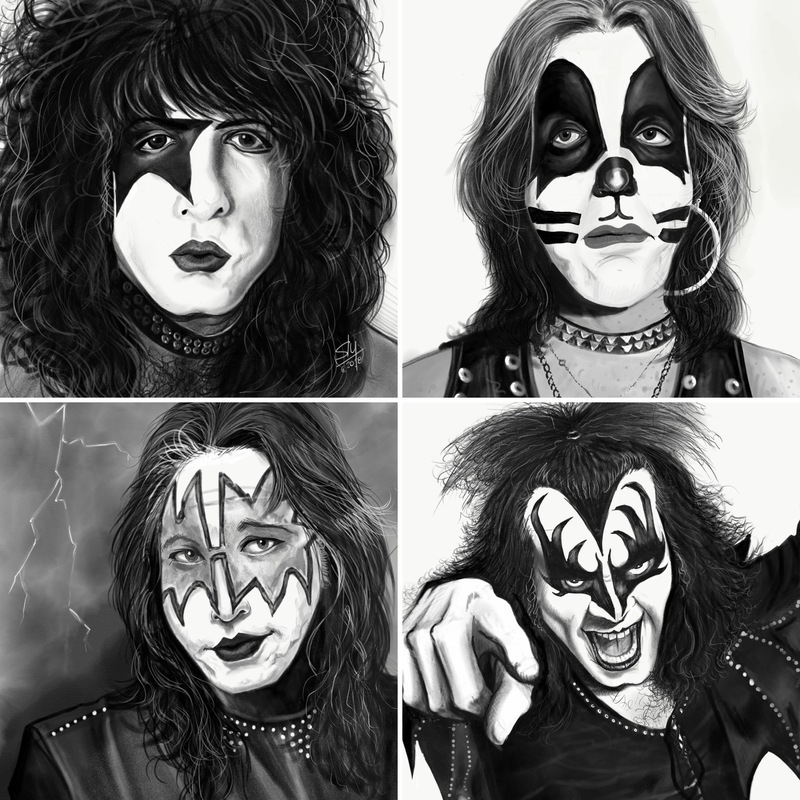 I grew up listening to KISS as lullabies to put me to sleep, according to my Dad they did work. My Mom had a different perspective about putting a baby to sleep. My Dad wanted to play drums his entire life and 3 years ago, he joined a drummers club in the City of Chihuahua in Mexico, where he lived his entire life. He was the oldest of them all, but none of them knew how to read musical notes, my Dad learned in two years. They shared that with me during the funeral last week. 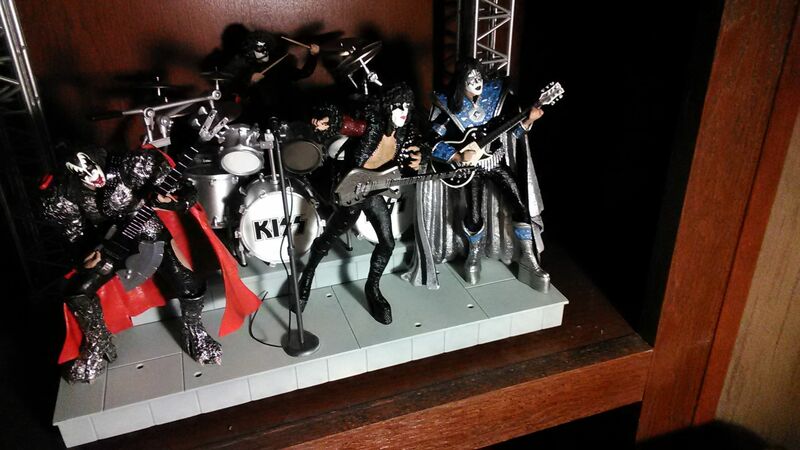 They're 60 drummers and they all loved how my Dad loved KISS and to play the drums. During the burial they played and signed different songs in his honor, and the last one was "I was made for loving you baby". I was smiling and crying at the same time, grabbing my husband's hand tightly, thinking how happy my Dad was in heaven, playing his drums and rocking along with all of them. They also gave me a T-shirt they made in his honor and I'm going to wear it this next Tuesday February 26th 2019. I live in Oklahoma City with my Husband, We invited my Dad to come to this concert with us, and he will be there with us. 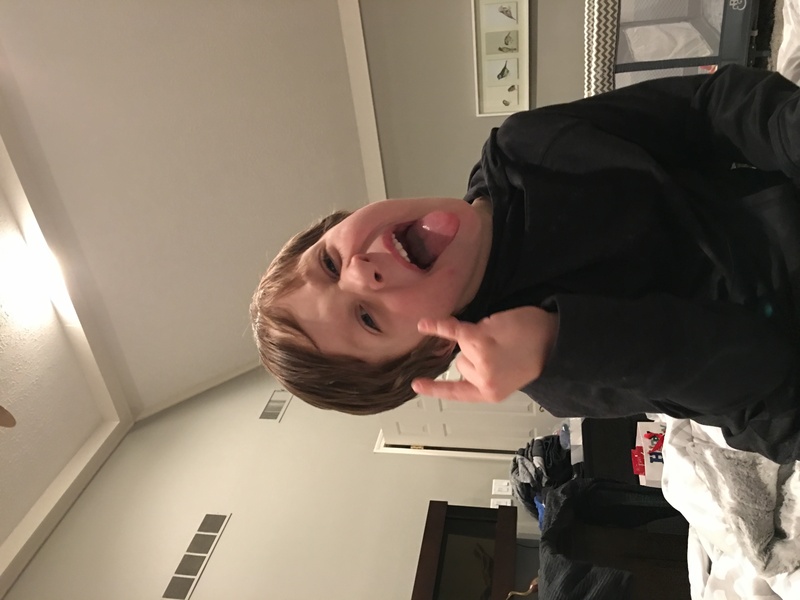 We're going to rock the night away like he would've done it. It's going to be hard and an emotional concert for us, but we want to honor him and his love for the band he love until the day he died. 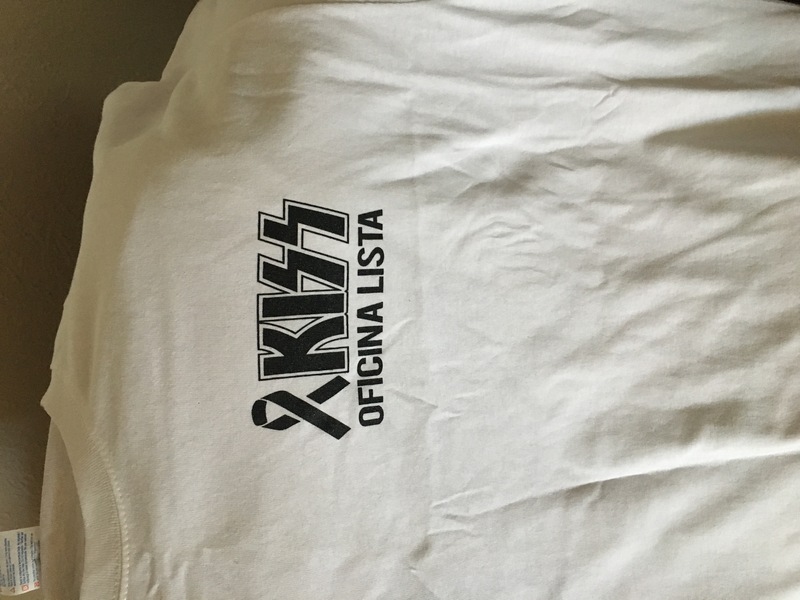 His name was Oscar Humberto Escobedo M÷rquez, he was 56 years old, he wasn't sick, he just fell asleep and his heart stopped beating, he was a proud member of the KISS Army. Thank you for giving my Dad so many years of joy and rock. 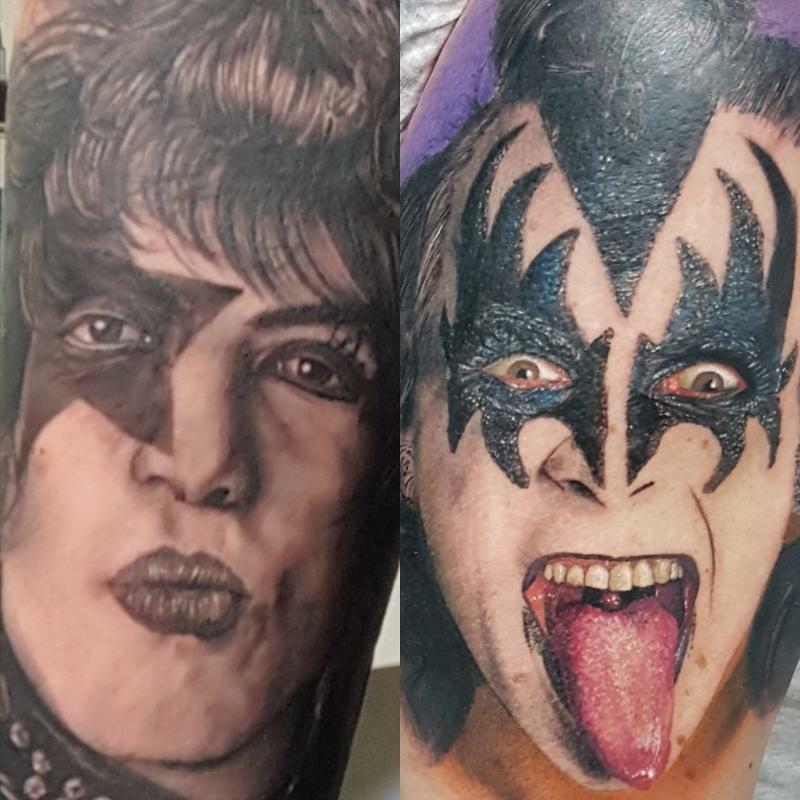 Take a look at my KISS tattoos!!! Which one do you like the most? 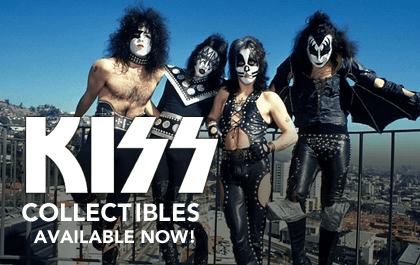 Paul or Gene? End Of The Road, I'm ready! I was nominated by my High School Student Council for the Arizona Association of Student Councils Administrator of the Year Award in High School and was chosen as the State Winner! 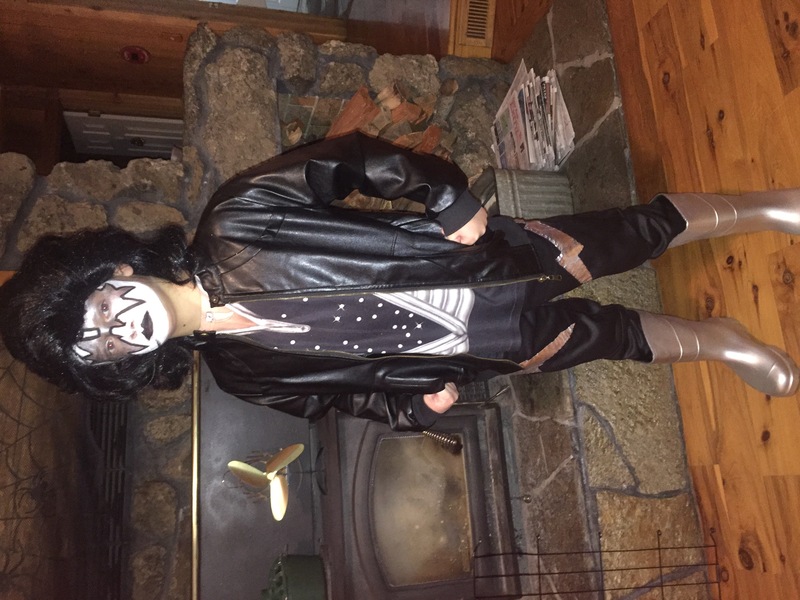 My Student Council chose Rock Star as their theme so I naturally had to wear my Gene Simmons Dragon Boots to the ceremony to accept the award! They agreed! This is a picture of myself with all of the Amazing Kids in the Greenway High School Student Council. 1st ticket 1996 reunion tour - Was 6 months pregnant at time. 24 hrs after concert went in to labor, 3 days later had daughter (original due date Paul's bday 1997). 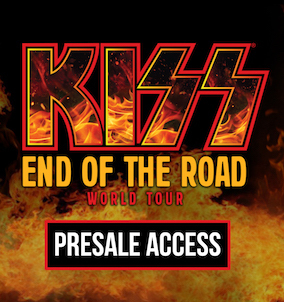 This summer she will see Kiss for the 1st time. 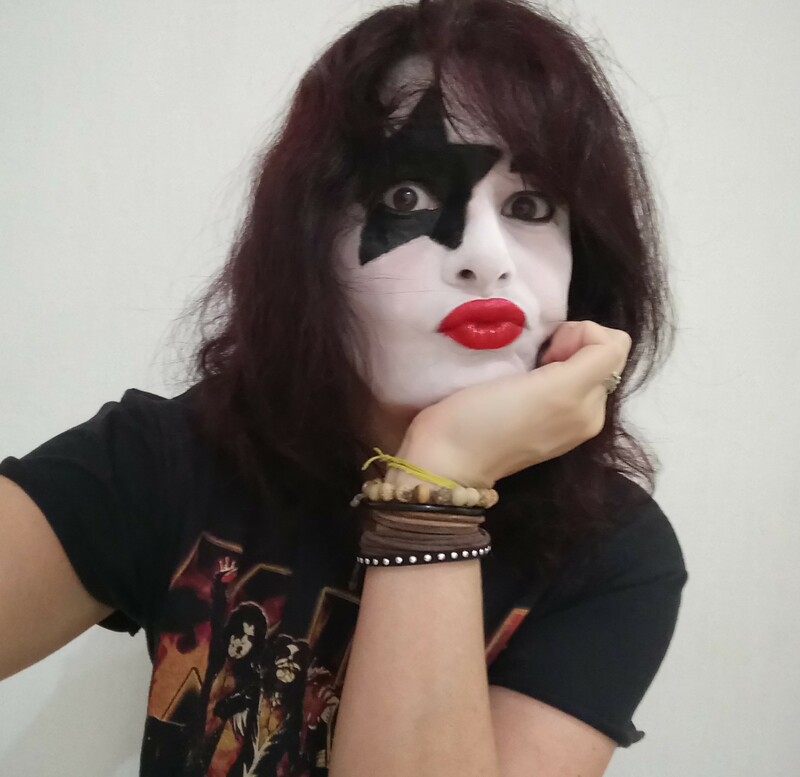 Born to be a KISS fan! 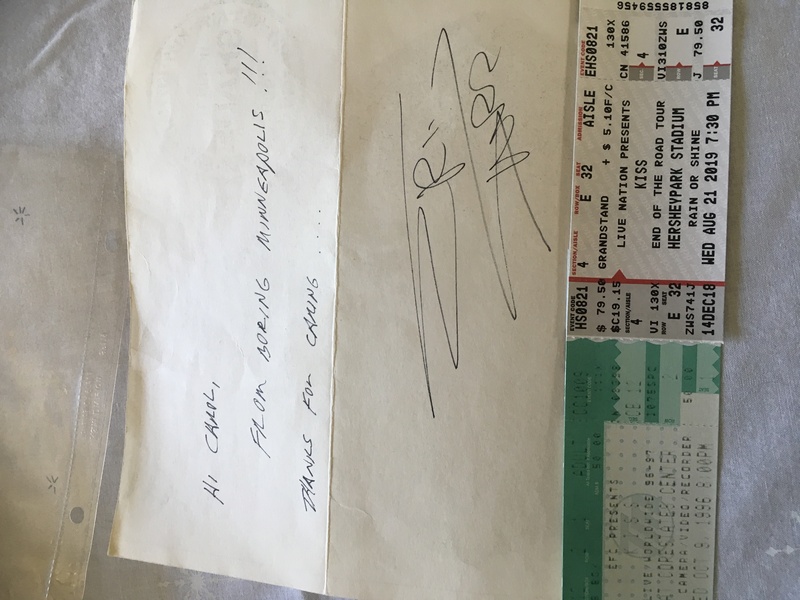 The other, a note from Eric Carr (during Hot in the Shade tour) in response to a fan letter I sent him.